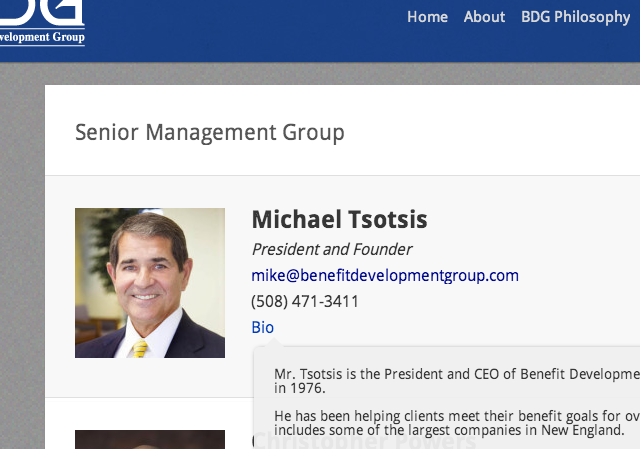 Benefit Development Group, Inc. (BDG) came to Elite Web Labs for a rebranding of the 35 year old employee benefit brokerage’s web presence. Elite Web Labs developed a robust WordPress™ site that gives BDG complete web autonomy for the future. The site includes a responsive logo which adjusts the header on page scroll and a fully manageable senior staff page running on five integrated plugins. The site also integrates MailChimp as a mailing list aggregator and email marketing tool, the ability for unlimited custom forms to be created and a client testimonial featurette. 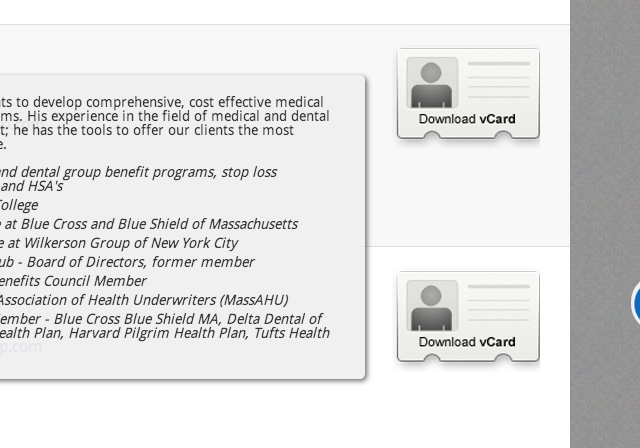 To assist the user experience each page includes a social sharing pop-over and sliding editable info widget. 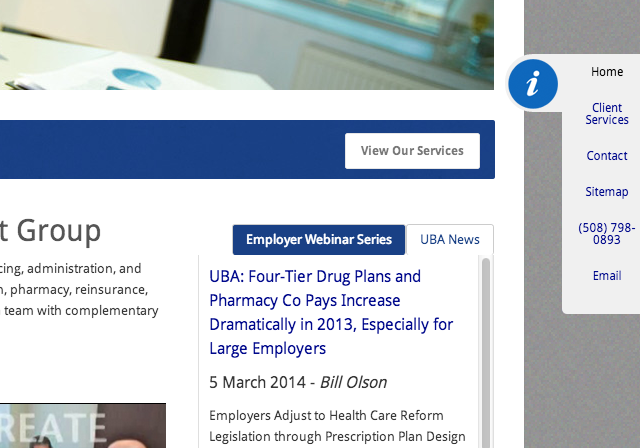 Users also find a tabbed news and webinar sidebar featuring BDG’s professional association membership with United Benefit Advisors. The internal user interface features a fully manageable senior staff page running on five integrated plugins as well as a password protected section for compliance and user permission configuration. An accordion design was enlisted for documentation included in the protected area and video walk through guides were migrated to third party service Vimeo.com to increase display efficiency. 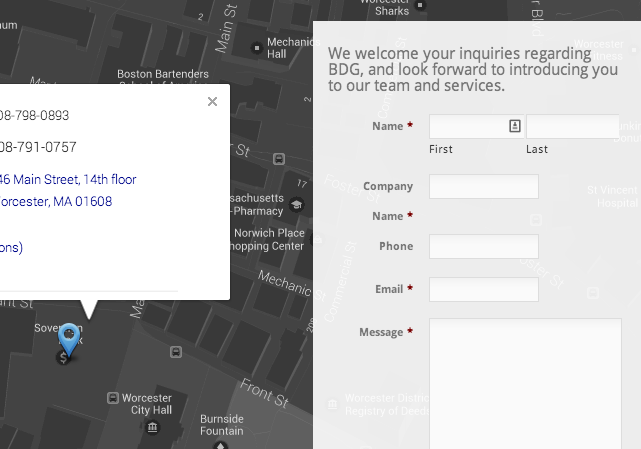 Elite Web Labs designed several custom icons across the site and included a live updating sitemap and annual auto updating of copyright information ensuring that BDG can easily and efficiently manage its own web presence for years to come across a broad based, highly functional, open source site.